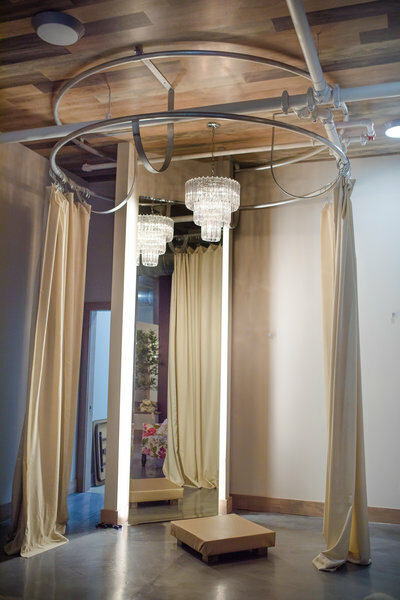 We are more than just a place to come try on wedding dresses. We want to walk with you to find the best wedding dresses around, and the bridal gown you Adore and complete your bridal look. We offer many wedding gowns in a variety of styles and colors. 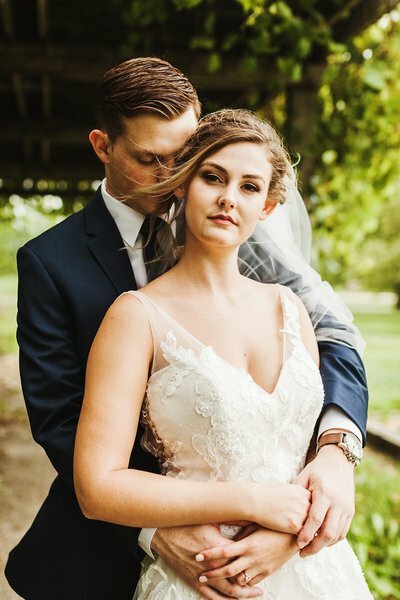 We have traditional wedding dresses, more non-traditional lace and floral dresses, and romantic wedding dresses and bridesmaid dresses Peoria, Springfield, Central Illinois, and Northwest Illinois brides will Adore. 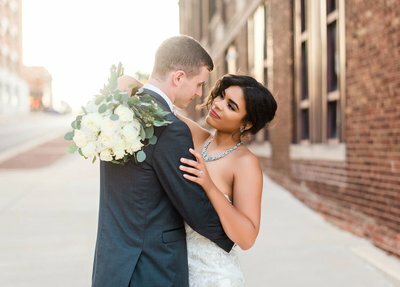 We carry a wide variety of bridal wear, including tuxedos and suits for rentals for the groom and the other men in the bridal party. 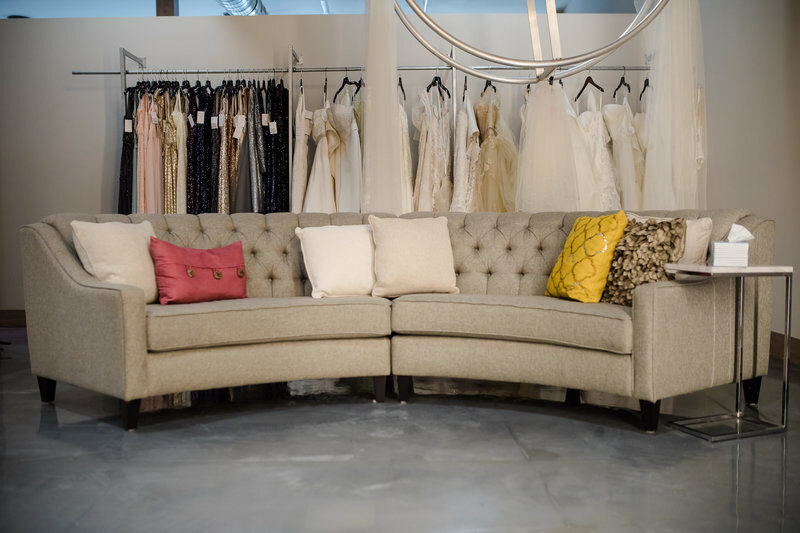 When you are looking for the best bridal store in the area, schedule an appointment with us. We also feel that every detail of the bride's attire is what makes her stand out as the bride. So we carry a full line of wedding accessories including veils, jewelry, head pieces, and even shoes. 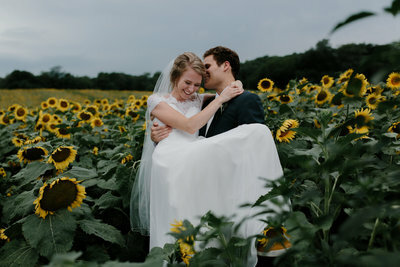 We have had brides come to us from all across the country, but primarily serve brides in the Central Illinois and Northwest Illinois areas - from Champaign, Bloomington, Springfield, Peoria, Galesburg and even the Quad Cities. We promise to make your drive to Adore totally worth it! I am so glad you are here! Adore Bridal & specialty is a unique bridal boutique in Morton, IL. From start to finish the entire process was awesome. I felt super comfortable and everyone was incredibly nice and answered all my questions. So happy to have gotten my dress today. No complaints here!! "The entire process was awesome." I had a great consultation with Adore Bridal! Everyone was so welcoming and kind throughout the entire process. I loved that we did not have to search for any dresses and it was completed for us when we got there. Staff members made my entire group feel as if we were the only ones in the building and it was such a special moment when I finally said yes to the dress. Thank you so much Adore Bridal! Great experience!! Comfortable, intimate, inviting environment. Wide selection of dresses. The staff was very kind, professional and flexible. I felt secure and comfortable the whole appointment. I would recommend adore to any friends or family! Such a great experience! Carissa was amazing and so helpful, and I’m so in love with my dress! "I'm so in love with my dress!" I had an amazing experience and the team worked with me so perfectly and helped me understand how someone with my personality feels when it’s THE dress. So thankful for the stress free process of picking the one!! "I had an amazing experience." Janice is a native of Central Illinois, having grown up in Eureka. 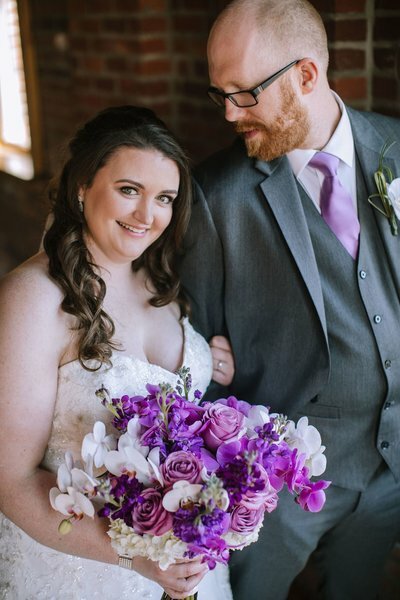 She lived around the country since getting married, but wanted to come back to Central Illinois for this opportunity! 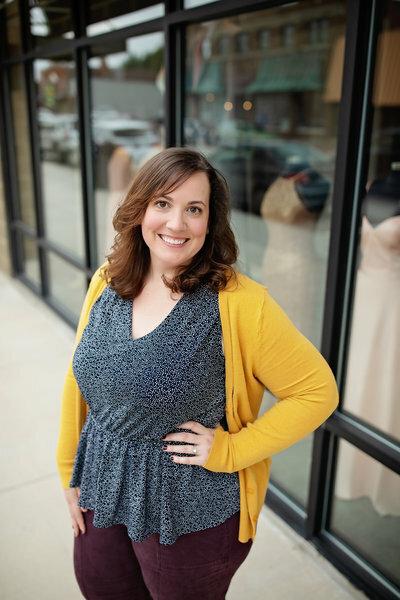 It was the desire of her heart to open Adore Bridal, and she is working to grow this amazing boutique to keep touching lives of so many brides. It's important to help them feel amazingly beautiful on their most special day. Andrea was born in Michigan and we are so glad that she made it our way to Illinois. For Andrea, this is the most rewarding job she has ever had. That moment when a bride realizes she found her wedding dress, it's everything to her. 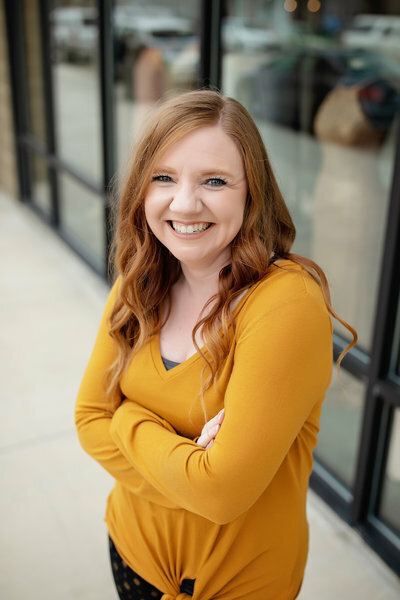 She's a crafter with a creative mind and you have to meet her when you come into Adore! Brea is such an amazing part of the Adore team. 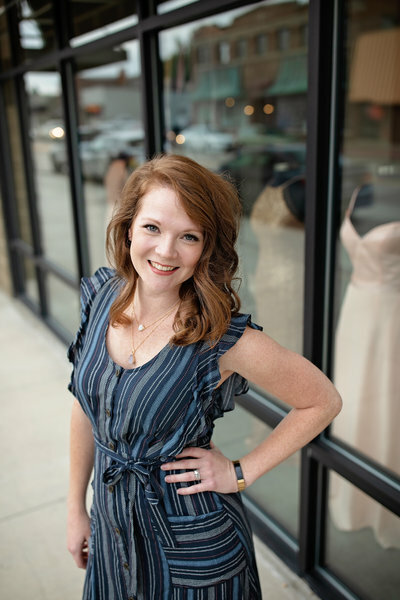 She is our Bridal Party Coordinator and has an amazing eye for fashion. 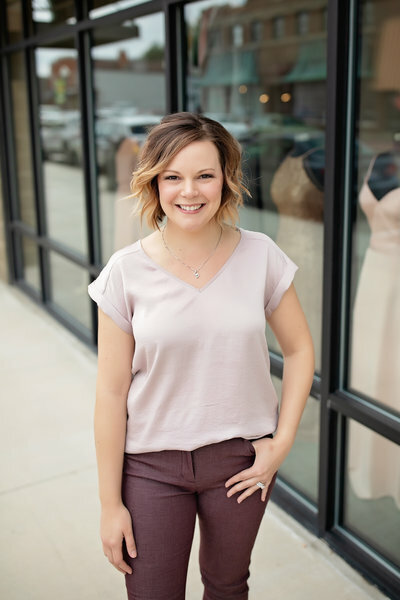 If you are lucky enough to have Brea as your stylist when picking out your wedding gown, you are in good hands. She loves making it a treat for the whole group and feels like finding your dress should be a special experience. Devon has been in the bridal world for about 7 years. 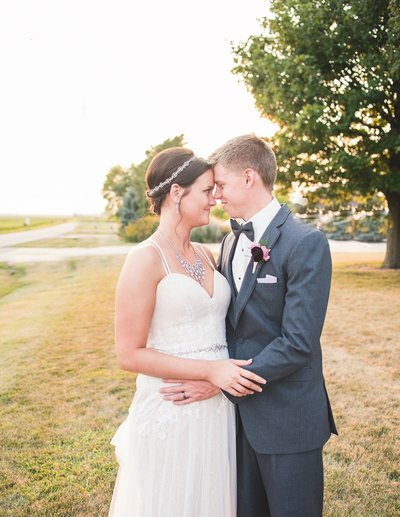 She loves when a bride finds the perfect dress that makes them feel beautiful and confident. When they can visualize seeing their significant other on their special day; it gives Devon all the feels! Carissa grew up in Central IL. After living in sunny California for three short years, she returned home to her roots. She loves getting the opportunity to chat it up with her brides. 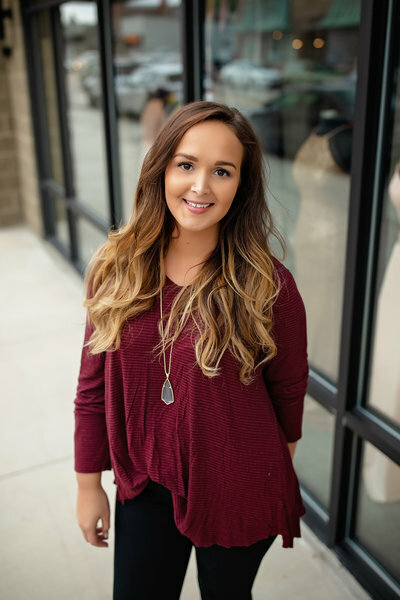 If you've ever had the pleasure of meeting Carissa, you know is is a non stop talker and so much fun! She is always on the bride's side! #teambride.